Drones can do much more than take pretty aerial pictures. Unmanned aerial vehicles (UAV) can be used to analyze site conditions over time, offering a deeper understanding of change. Drones can also play a role in actually planning and designing landscapes. In a session at the ASLA 2018 Annual Meeting & EXPO in Philadelphia, Christopher Sherwin, ASLA, Surface Design; Brett Milligan, assistant professor of landscape architecture and environmental design at University of California at Davis, Luke Hegeman, ASLA, MODUS Collective; and Emily Schlickman, ASLA, SWA Group explained how they are maximizing the potential of drones to understand climate and ecological change and design and evaluate projects. Sherwin provided a brief overview of drones. In the early 1900s, the inventor Nikola Tesla envisioned a “wireless unmanned aerial system.” In the 1940s, a “crude unmanned drone” was developed. Later in the 1960s, radio-controlled planes became a favorite of hobbyists around the globe. In 1995, the US military unleashed the missile-armed predator drone — a true “leap in technology.” In 2006, the US government devised the first flight guidelines for drone pilots, known as Rule 107. And then a year later, the launch of the iPhone led to the birth of an app-guided drone. And in 2013, the Phantom One drone, featuring sensors linked to GoPro cameras, was released. That is until we was arrested for trespassing and his drone was confiscated. Sherwin had used an app called AVMap, which is supposed to let drone pilots know where it is legal to fly. But the data hadn’t been updated. The result: “my research is on hold. No word yet on a permit.” But he was able to get his drone back. That was the first tip in the session: don’t get arrested. At Harvard Graduate School of Design (GSD), he created a project called “mixed reality city,” with his own self-built drone. Mixed media goes beyond augmented reality as it includes a true mixing of different realities; the technology enables a real-time relationship between real-world and designed layers. (In a session last year, a number of landscape architects and technologists foresaw this as the future of design). Hegeman said drones can help create powerful mixed media experiences that help “visualize potential future outcomes.” He envisioned combining drone video feeds with visualized data from network of sensors buried in the ground. Running simulations, vast landscapes could be designed with real-time information. And Emily Schlickman with SWA Group explained how her firm’s XL Research and Innovation Lab uses drones for a variety of purposes. UAVs have been used to gather information and document conditions before planning and design process have begun. Drones were also used to survey site damage to Buffalo Bayou park in Houston in the wake of Hurricane Harvey, which dumped 40 inches of rain in four days. In that case, the drone was crucial, because surveying the site, which was largely inaccessible after the floods, would have been unsafe. And drones have been used by SWA to monitor construction progress. Marion Brenner is one of the leading photographers of landscape architecture. Her work has been featured in numerous publications, including Landscape Architecture Magazine, Gardens Illustrated, The New York Times, and Garden Design. Books of her photographs include Private Gardens of the Bay Area, Outstanding American Gardens, The Bold Dry Garden, New Garden Design, Living Land: The Gardens of Blasen Landscape Architecture, and In and Out of Paris: Gardens of Secret Delights. Her photographs are in the collections of the Bancroft Library at University of California at Berkeley, the San Francisco Museum of Modern Art, and the Berkeley Art Museum. She lives in Berkeley, California. Interview conducted at the ASLA 2018 Annual Meeting & EXPO in Philadelphia. What makes a great photograph of landscape architecture? The challenge of photographing landscape architecture is taking a three-dimensional space and making it two dimensional. The best photographs of landscape architecture make you feel like you’re in the space. A good photograph tells a story. I don’t think of myself as making individual photographs. It’s always interesting to me when someone remembers one photograph, because my photography is about telling the story of a project. Does taking photographs of natural landscape and works of landscape architecture require different approaches? If so, how? I am not at all interested in taking pictures of the natural landscape. My role is taking pictures of the built environment. I’m most interested in how culture impacts the land and nature. How we want to control it; what we think of as beauty, and the political implications of a designed landscape. I became aware of this in the 90s. I got a grant with a writer, Diana Ketchum, to photograph 18th century English-style gardens in France. They are based on the philosophy of Jean-Jacques Rousseau. The French are not particularly interested in them. Most people know about Le Nôtre’s landscapes: the classic French Vaux-le-Vicomte and Versailles, which symbolizes the absolute power of the king. The English-style gardens were built just before the French Revolution. They are meandering, with winding paths, and views that are meant to make people feel and think and question the absolute power of the king. They were built at a time when people were traveling to Italy to see ruins. In Northern France there were no ruins so they built their own. One of the gardens in Ermenonville is now Parc Jean Jacques Rousseau. It has grottoes and a temple on the hill with fallen pillars. Today, landscape architecture is political in its relation to how we think about climate change, parks, and water use. Also, there’s the issue of parks and gentrification. How can you capture the feel of a designed landscape, taking a work that is in 3-D and making it 2-D? Is there one photograph that tells the whole story? Sometimes. But not always. I leave things out. But I also put in a lot in. One photo is just one part of the story. I need multiple photos to tell the story. If I have a lot of time in a space I can kind of figure out the logic. But my clients have designed sight lines, they’ve thought about the space, they know the way the light works. They don’t know how to document it, generally, but they know what they want. And, so, it’s this back and forth that I find extremely exciting. What process yields the best photos? For me, it’s definitely working with the designer. My clients generally humor me when I go off on a tangent. They encourage me to see what I see. I always say: “turn around.” I was taking a photograph of what I was supposed to be photographing and then I turned around and the light was coming through the trees on the hillside. That photograph ended up being the cover of Living Land, Blasen Landscape Architecture’s book. It was just a moment that captured some essence. The exciting thing about photographing landscape architecture is that there are no rules. 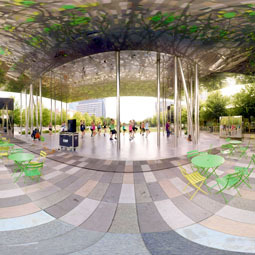 I showed a photograph of Klyde Warren Park in Dallas, Texas, at the field session at the ASLA Annual Meeting. There’s a pole going right down the middle of the photograph. You can see the base of the pole. Chris McGee, art director at Landscape Architecture Magazine (LAM), said: “Oh, I was looking at that and saying, ‘which photograph do I like better? '” But it was one photograph. I broke the rules. I guess there are rules to break. How do you capture seasonal change and the progression of time? There aren’t many projects I do over time. They have to be very significant projects for my clients, because hiring me is a big expense. I just did a private house this summer for Surface Design, which I’ve documented over time. The landscape has a big meadow that’s great to capture in different seasons, but this is a rarity. How do you capture people inhabiting a landscape in a way that doesn’t feel staged? You can try to use real people. But one of the problems is that when I shoot dawn or and dusk, there is nobody there. Or if people are there they walk straight through the picture, and you don’t see them. There’s not even a blur, because the exposures are so long. I sometimes bring a whole team of people. When I photographed the San Antonio Botanical Garden that Christy Ten Eyck designed this summer, the botanical garden invited families so there were kids there. We were able to do the photographs in the right kind of light with people in it. As Chris McGee says, “we just don’t want to see the same person in every shot.” You want people to be comfortable and look natural. I sometimes have people walk through a site in order to get movement through it. The problem with real people is they can go too fast or too slow. They can be carrying a big plastic bag, just not looking right. What will visual landscape representation look like in 25 years? Will photography always have a place in the world of drones, virtual reality, mixed media, or some other technology that we don’t even know about? I am not interested in using a drone, but I have been on shoots where drones have been used to great effect. I’m happy to have them, because I hate hanging out over edges where there’s parapets and stuff and you can’t really see, and you’re not getting the angle people want. Landscape architects love things from above. Drones are not great quality, but they’re great for a certain kind of image. They’re less interesting to me, because, again, it’s flat. I’m not interested in shooting flat. I’m interested in the relationship of near and far and how you make that three dimensional space a photograph. I may be virtual in 25 years, but I don’t think I’ll be around in 25 years. I have grandchildren and I wonder what their lives are going to be like in 25 years. Lastly, what is the most important advice you have for amateur photographers who want to improve their photography of landscape architecture? Look at landscape photography you admire and try to figure out what you like about it. Imitation is a way of getting where you want to go. Trial and error; that’s it! Keep doing it. Do it, do it, look at it. Judge it, figure out what works and what doesn’t work. I had a wonderful mentor at one of the magazines. She wouldn’t let me go out unless the light was right. I learned a lot about light from her. My photographs are about light. The right light is generally not the middle of the day. Early or late. When you’re photographing architecture, you can have full sun on a façade, and it shows the shapes. But when you’re photographing landscape, anything with texture and plants, trees, you end up getting dark pools underneath trees, even the trees themselves are broken up by dark shadows. You’re not seeing form; you’re seeing light. The forms are light and shadow. Many have called Kongjian Yu, FASLA, president of Turenscape, the Frederick Law Olmsted of China. And with his new book Letters to the Leaders of China: Kongjian Yu and the Future of the Chinese City, one understands why. This collection of letters to Chinese president Xi Jinping and provincial governors, essays, interviews, and other advocacy pieces reveal how much Yu has invested in promoting his ecological, water-centric “sponge city” approach. His book demonstrates that every landscape architect can become a leader and a powerful force for improving environmental and human health in their community. Yu connects the professed communal and environmental aspirations of the Communist Party leadership with his own goals — healthy places for people and well-functioning ecosystems. But he also believes there has been some deviation from the original goals of the Communist revolution, with the pursuit of Western-style, car-based development; isolated, residential skyscrapers; and widespread environmental degradation. He submits typical contemporary urban design in China to a kind of criticism study session, asking mayors and governors to re-examine their own motivations and re-align themselves with the true needs of the Chinese people and the environment. He takes aim at the Chinese version of the western City Beautiful movement that has been carried out “aimlessly and autocratically,” damaging both the civil realm through the development of highways that split communities, giant soulless plazas, and parks filled with non-native plants; and the natural environment, through the country-wide pollution of air and water. His core argument: to mindlessly ape Western development models — and profit from these destructive approaches — is fundamentally un-Chinese and certainly not Communist. In a country that has become a toxic brownfield, landscape security could provide the stable foundation for the renewed sustainability and resilience of the country. “Maintain and strengthen the overall continuity of the landscape pattern. Establish and protect the city’s diversity of habitat. Maintain and restore the natural configuration of rivers and shorelines. 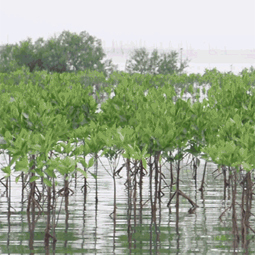 Restore and protect wetland systems. Integrate rural windbreaks into urban greenways. Build greenways for pedestrians and cyclists. Establish green cultural heritage corridors. Improve urban green spaces by making them more permeable and accessible to the public. Dissolve parks into the city’s matrix. Dissolve the city, protect and integrate productive farmland as an organic element of the city. Amid the essays and lectures, Letters to the Leaders of China intermingles actual letters written by Yu to provincial governors, mayors, and Chinese president Xi Jinping himself. They give an insight into the opportunities and limits of Yu’s role as a leading intellectual and critic and the preeminent landscape architect in China. Unfortunately, though, Yu doesn’t provide any of their responses back to him, so these sections feel like a one-sided conversation. One doesn’t know the results of his lobbying. Still, one letter to Wen Jiabao, premier of the state council, calling for a “vernacular heritage landscape network” — essentially, a national system of cultural landscapes that could also provide ecosystem services — is a particularly creative, efficient policy proposal that even includes specific governmental and regulatory changes to make his proposal happen. The letter shows an understanding of how the government is structured and what needs to change. Through the letters, essays, and lectures, one gets a sense of how much Yu cares — and how driven he is to undo the unsustainable development patterns that repeat the same destructive errors made in the West over the past 50 years. He is trying to respectfully guide the leadership of China towards a more ecological, humane approach, and he works every angle he can find. At the end of the book, there is a transcription of an interview with Chinese contemporary artist Ai Wei Wei. Ai presses Yu on his ideas, forcing him to justify his arguments. Yu states that China’s rustic, vernacular, “low culture” is what’s key to achieving sustainability — not the imported Western ideas of development, architecture, and landscape or bourgeois Chinese traditions. To achieve social and environmental reform, China must raise up what is considered low today — the wetland that functions, the productive aesthetics of the humble farm, the clean river. 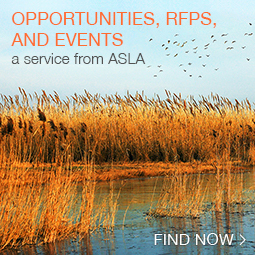 Ignacio Bunster-Ossa, FASLA, is national practice leader for landscape architecture at AECOM. He is the author of Reconsidering Ian McHarg and with David Rouse, ASLA, Green Infrastructure: A Landscape Approach. In his previous work as a principal at Wallace, Roberts & Todd (WRT), Bunster-Ossa led the development of the Palisades Park and Beach Boardwalk in Santa Monica, California, and the SteelStacks Art and Cultural Campus in Bethlehem, Pennsylvania. Philadelphia has made great strides in its efforts to become a more sustainable city. Most recently, the city government announced it will be powered by 100 percent renewable energy by 2035. The city’s green works sustainability plan, transportation plan, and city-wide vision plan lay out ambitious goals. Over the past decade, what have been Philadelphia’s major contribution to the sustainable city movement? And where does the city need to improve? 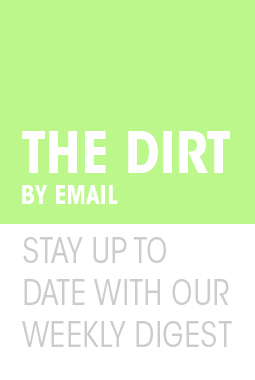 What propelled the big leap forward was the consent agreement with the Environmental Protection Agency (EPA) to use green infrastructure to manage water pollution going into the Schuylkill and the Delaware Rivers. The agreement became the Green City, Clean Waters program, which is managed by the Philadelphia water department. Philadelphia had a vast network of rivers, streams, and creeks, which in many cases were supplanted by underground sewers. These sewers erased the city’s hydrological foundation. Green City, Clean Waters is not quite undoing this system but introducing a new geography of green infrastructure that is not only shaping how the city ecologically functions but also how it looks. The program has produced fantastic parks and greenways. That’s a credit to the leadership: Howard Neukrug, director of watersheds and then commissioner of the water department, who instigated a lot of this; and Mami Hara, ASLA, his deputy for years, who is now the water chief in Seattle. Where we still need to improve: We see projects in areas that have the land. Parks and plazas have been retrofitted or designed anew to incorporate green infrastructure. But Philadelphia is an old, pre-industrial city where streets and sidewalks are tight. 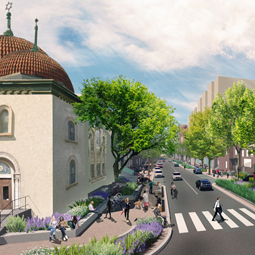 The challenge is how do you green streets in South, North, and West Philadelphia? There is so little space to implement a green vision. If you talk to engineers, they’ll say, “well, we can only put an underground cistern,” which works from a water quality point of view, but doesn’t provide the other benefits that green infrastructure produces: shade, biodiversity, and the like. This is the problem we need to address in the future. As you mentioned, Philadelphia’s landmark green infrastructure plan — Green City, Clean Waters — and the Rebuilding Community Infrastructure program have led to the creation of more than 850 greened acres. A greened acre absorbs up to one inch of rainfall through trees, rain gardens, bioswales, and green roofs. What does the program need to accomplish next? 800 acres is less than 10 percent of the total required by the consent agreement, which is 9,300-plus greened acres. The question is: how do you implement green infrastructure in places where it’s the most difficult to implement? There’s also an issue of cost: if a greened acre costs $100,000 an acre, that is expensive. Another challenge is hiring a quality workforce who can work on green infrastructure in a way that benefits the most number of people. Connect, the city’s first strategic transportation plan aims to make public transportation systems more integrated, equitable, and accessible. However, state funding for SEPTA, the regional railway system, is expected to fall. How can a sustainable regional transportation plan be forged among the Delaware River Valley community? The issue is politics. The solution lies in Harrisburg; it doesn’t lie with SEPTA. Many communities in Pennsylvania don’t use or need transit because they are too spread out. These communities hold power in the allocation of funds that both Pittsburgh and Philadelphia need for transit. It’s a classic case of constituencies fighting for resources. SEPTA has improved a lot over the years. It’s much more pleasant now to ride trains and buses. We’ve added many miles of bike lanes. And in a warehouse somewhere, there are thousands of electronic scooters ready to be rolled out. There is a new dynamic for moving around in the city. One of my biggest hopes is the city will dedicate streets or a whole corridor to low speeds, like 15- 20 miles an hour. If you hit a pedestrian at those speeds, they have an 80 percent chance of being unscathed; maybe a bruise, but that’s it. The city could do that along major corridors. Dedicated street are better than just bike lanes — they result in greater usage of sustainable transportation options. Through its Rebuilding Community Infrastructure program, the city will be investing $500 million to make fair and equitable improvements in community parks, playgrounds, recreation centers, libraries across the city. What has the program accomplished so far? Are there fears new amenities could exacerbate gentrification? The program is new so it hasn’t produced the scale of improvements that can lift up the whole city. The rebuild program has identified specific areas based on income, quality of the resource, need for the resource, and level of improvement. They’re spending the money in a prioritized way. And the $500 million is not all there. It’s being accumulated from a tax on soda, as well as from contributions from foundations. This is a long-term program that can produce results. The issue of gentrification is very, very serious in Philadelphia. From a personal experience living in West Philadelphia, now known as University City District, I’ve been the recipient of the positive side of gentrification. But because of that, I’m acutely aware of the impacts. I don’t think it necessarily follows that improvements will produce gentrification, in part because Philadelphia is one of the poorest cities. For large cities, the median income is one of the lowest, if not the lowest. The city is also predominately African-American, so the infusion, if you will, of white money that can produce gentrification won’t affect communities most in need of basic improvements. Perhaps long-term that could be the case. But the program isn’t prioritizing in any way, shape, or form projects that can induce re-development in a gentrifying way. A recent study by Bloomberg found the City of Brotherly Love is sadly the third most unequal city in the U.S. behind Miami and Atlanta. Furthermore, the city jumped 17 spots in the past year, the sharpest negative move among the top ten most unequal cities. How can Philly better address the large income gap between those who live in or near Center City and those in low-income neighborhoods? An associated consequence of the income gap is the gap in access to public resources. A research study by University City District called Just Spaces surveyed under-represented communities in the district. They want to find out: why don’t low-income people use bike lanes? Why don’t they use parks or public spaces? There are racial and economic reasons. The report may point the way towards how you can create equity– not in terms of income, but at least in terms of access to affordable mobility and parks and recreation, which can elevate quality of life for everyone. Philadelphia is also a hot spot for air pollution, earning an “F” grade from the American Lung Association and ranking just behind Memphis and Richmond for the country’s worst air. One in ten Philadelphians have asthma. Furthermore, asthma rates are spread unevenly, largely tracking with areas that are abnormally hot with fewer trees. This is because extreme heat combined with pollution forms dangerous levels of ozone that lead to asthmatic emergencies. How can Philadelphia address the inequity of the urban heat and air pollution issue? Green infrastructure is a real solution — and it was embedded in the precursor to Green City, Green Waters, which was the Green Plan Philadelphia, a landmark report that Mami Hara also guided. The problem in Philadelphia is the tight streets where you can hardly fit a tree, given all the utilities. God forbid you remove a parking space. There’s a tremendous need for vegetation, particularly in South Philadelphia, where it’s very hard to find a tree in any given block. The other component is obviously the roof landscape. In much of the city, roofscapes exceed streets in area. I would start programs that can produce green roofs, certainly blue roofs, but also change the material on the roof, so they are more reflective. You would see temperatures go down. I would do everything possible to improve the shade cover on streets as well. Philadelphia did a program called Green Streets that I was part of. They have a design manual for green streets, which explains how to incorporate green infrastructure every time you fix a street. Over time, the city can make a dent in the air pollution problem. 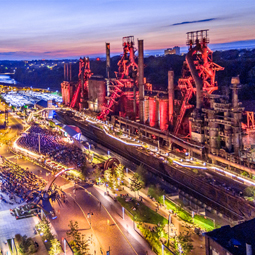 After many years as a principal at Wallace, Roberts & Todd (WRT), where you designed projects such as the Palisades Park and Beach Boardwalk in Santa Monica and the SteelStacks Art and Cultural Campus in Bethlehem, Pennsylvania, you moved to AECOM, where you’re now national practice leader for landscape architecture. In your new position, how do you hope to move Philly in a more sustainable, equitable direction? We have folks in Philadelphia working for the water department on the green infrastructure program. We collaborate on where the rubber hits the road: How do you take a very small area and make it green? If there’s one lesson about the Green City, Clean Waters program is we’re almost dealing at the micro-landscape scale. That’s the level at which improvements are made over time. The other work is focused on building parks near creeks to improve the quality of the water, but also recreational trails, such as in Pennypack and Tacony Creeks, and the Schuylkill River boardwalk, which is part of one the nation’s top urban trails. The city has a very robust community engagement process. Philadelphia has a neighborhood-centric social structure. It’s great to work with people at that scale to make change. And what have you learned from your 20-plus years’ experience in Philly that you want to bring to other cities and the national level? It’s all about the scale of the city. Compare downtown Philadelphia to downtowns in other places, compare the widths of streets. I’ve measured this: it takes me 12 steps to cross most Center City streets. That’s 2-3 seconds. It’s a highly pedestrian-friendly environment because it’s so easy to cross a street. When I go to other places and they tell me, “oh, you need a radius of 30 feet, because you need a truck to move around the city,” I say, “No you don’t.” I can show examples of big fire trucks moving around the city in this tight environment. If I had to say anything about Philadelphia that would lead to a better future — it’s we need to take vehicles out of Center City and dense urban areas. Uber and autonomous vehicles (AVs) create on-call circulation that can travel at very low speeds. You no longer need parking. This evolution is inevitable in American cities. Philadelphia is ready made to lead the way. The Colombian civil war that began in the 1960s killed some 220,000 people and displaced another 5 million, creating one of the largest groups of internally-displaced people in history. In a session at the ASLA 2018 Annual Meeting & EXPO in Philadelphia, Maria Bellalta, ASLA, chair of the landscape architecture department at the Boston Architectural College (BAC), said the civil war was the terrible legacy of Spanish colonialism, which created a deeply unequal economic and social system that exploited both the environment and native peoples. Colombians displaced from their farms in the countryside and severed from the natural environment by “greed and violence” ended up in cities like Medellín. There, the chaos of government and guerilla warfare, endemic poverty and great inequality, and the legacy of environmental destruction contributed to the rise of infamous drug lord Pablo Escobar, who ruled from the neighborhoods at the outer lip of the valley that gives form to the city. All the violence and corruption scarred not only the city but also the landscape, said Bellalta, who has been bringing her students to Medellín to see and learn for the past few years. But a decade after the death of Escobar in 1993, Medellin invented a new approach, which then-Mayor Sergio Fajardo called “social urbanism.” The goal was to use urban design — and importantly, landscape architecture — to reduce inequality and heal the environmental damage. Fajardo “invited disregarded communities to participate in planning efforts,” which resulted in major investments in new subways, aerial tramways, bicycle infrastructure, libraries, and beautiful parks — with the majority of the new amenities created in underserved communities. Efforts to “change the social dynamic” yielded new networks of aerial trams and lengthy escalators built into steep hills. These inventive, low-cost transportation systems created new connections to the city center for the once-isolated, difficult-to-reach communities with high numbers of low-income residents. World-class libraries and green spaces were purposefully built in the places that had no parks. Lina Escobar, director of the landscape architecture program at the Universidad Pontifica Bolivariana in Medellín, further explained how the city is cleansing itself with water and nature. Since its founding, the city has been intertwined with the Aburrá river — or Medellín river — and the Santa Elena creek, its primary tributary. “Medellín’s geography is determined by the river and tributaries that crosses the valley,” which has shaped the city’s orientation and patterns of development. In the 1940s, a 30-kilometer stretch of the Medellín river was put in a concrete channel to reduce flooding. As the population started to swell in the 1950s, the city developed around the river. Then in 2014, Medellín city government launched an international design competition to envision a new Medellín River Park (Parques del Rio). The competition asked firms to create a master plan for the entire length of the river as it cuts through the city and then focus in on the central zone — the 9-kilometer stretch through the core of the city. Medellín-based firm Latitude beat out the competition with their concept for a “botanical park that recovers connections to water systems through a revitalized biotic metropolitan corridor.” The park developers will take parts of the concrete channel out, bury an adjacent highway, and create a new, lush green spine, with tendrils spreading throughout the valley. The important but unspoken message was that the smart design strategies of social urbanism need to be more widely applied around the globe. In this delightful book by Jonathan Drori that features magical drawings by Lucille Clerc, the history of different tree species around the world comes alive. For thousands of years, humanity has depended on trees for food, medicine, and companionship. Participatory design is “hands-on democracy in action,” argue the editors of the impressive book. Participatory design (also known as cooperative or co-design) is a process in which a designer actively involves all stakeholders in a design process. The editors call for making participatory design “truly democratic.” Furthermore, it must become “contextual, open, experiential, substantive, and holistic.” Read the full review. This monograph provides real insights into the design process of Seattle-based firm Gustafson Guthrie Nichol (GGN), making it one of the best of this format. Thaïsa Way, FASLA, professor of landscape architecture at the University of Washington, partnered with GGN to dig deeper into how the firm has used “creativity and problem-solving” to “make and shape memorable places.” Read the full review. Many have called Kongjian Yu, FASLA, president of Turenscape, the Frederick Law Olmsted of China. And with this book, one understands why. This collection of letters to Chinese president Xi Jinping and provincial governors, essays, interviews, and other advocacy pieces reveal how much Yu has invested in promoting his ecological, water-centric “sponge city” approach. His book demonstrates that every landscape architect can become a leader and a powerful force for improving environmental and human health in their community. Edward Tufte, the world’s best known information designer, said Charles-Joseph Minard’s statistical map of Napolean’s 1812 invasion and then retreat from Russia was the greatest information graphic ever made. In this intruiging new book, author Sandra Rendgen uncovers the man who made the graphic as well as his many data visualization innovations. Read the full review. For those who enjoy a deep dive into history, this book edited by Thaïsa Way, FASLA, professor of landscape architecture at the University of Washington, offers a rich exploration of how cities and rivers have shaped each over throughout the centuries. The intertwined history is also viewed through the lens of climate change and resilience. River City, City Rivers is the end-product of the excellent 2015 symposium on river cities at Dumbarton Oaks. Roberto Burle Marx stands as one of the towering figures of 20th century landscape architecture, yet he left relatively little in the way of writing that describes, defends, or otherwise elucidates his work. A new collection of lectures, edited by Gareth Doherty, ASLA, helps fill that void. Read the full review. This excellent book by landscape architects Catherine Seavitt Nordenson and Guy Nordenson and architect Julia Chapman, draws on years of research in design, art, policy, and engineering to argue for a new vision of our coasts. Structures of Coastal Resilience is a significant contribution to the body of research on this topic. Read the full review. 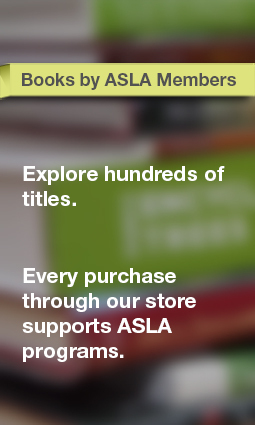 Buying these books through THE DIRT or ASLA’s online bookstore benefits ASLA educational programs. And if you are based near Washington, D.C. we also recommend checking out the National Building Museum’s world-class book store. Contextual Minimalism, a new monograph from the landscape architecture firm Coen+Partners, presents the work of founder Shane Coen, FASLA, and his firm into a well-organized book encapsulating over 20 years of design projects. With photography, some drawings, and minimal text, it tells the story of how Coen’s design instinct developed into a design philosophy, and how that philosophy adapted to different design challenges, primarily in the upper mid-west. Coen describes his firm’s work as the “celebration of nature through contrast, deduction, and abstraction,” an approach he’s come to call “contextual minimalism.” This approach is apparent in the firm’s use of contextually-appropriate blocks of color, texture, and mono-cultural plants. Much of Coen’s work feels painterly, with broad strokes and deliberate dashes. Coen writes with appreciation of the impact his father, a painter, had on his approach towards landscape. On many of Coen’s larger projects, this approach works to stunning effect, as in Jackson Meadow. There, on the 365-acrea planned-unit development, Coen’s firm planted the entire property with little blue stem to create a “unified ground plane” for the development’s all-white structures: splotches of white among a field of seasonally fluctuating color. Even after many years, Jackson Meadows feels unique among Coen’s projects, and much of that has to do with how Coen, in this book and public lectures, has described it. More than any other project, Jackson Meadows feels like a sandbox, a testing ground for what was at the time Coen’s philosophy. Collaboration with the project architect elevated Jackson Meadows. This sort of collaboration has been a mark of the firm since its inception. Coen explains that working on projects with powerful architecture “brought meaning” to his practice. You can attribute some of that meaning to the holistic achievements that result from successful collaboration. But Coen exhibits an admiration for architecture that feels unique among landscape architects. It provides inspiration and a datum from which to design. Coen’s approach is often forced into tighter private and residential spaces. Still, there is an attention to materials and relationship between architecture and landscape architecture that bolsters these projects. In the Wood House in Chicago, Illinois, Coen uses blocks of color and material to blur the boundary between inside and outside. The projects elucidate how Coen’s economical design approach shifts and adapts to different settings. In rural contexts, the preferred way of exalting nature is to contrast it with structures or work that is clearly artificial. In urban settings, the designer must abstract nature. If done well, the effect will be a sublime and uplifting experience. One might dispute the logic behind this strategy, but not the results. Look at what is achieved in Minneapolis Central Library, which is hemmed in by depressingly-wide roads. Before, the approach to the library was routine at best and degrading at worst. Coen added slate gardens supporting a row of birch trees to the library’s north-facing sides. The jagged slate recalls Minnesota’s rugged terrain. Its layering and the pioneering birches suggests opportunity and positive disruption. Most monographs suffer from a surfeit of finished photographs in place of sketches and plans that provide real insight into the design process. Unfortunately, Contextual Minimalism does not deviate from this trend. But the book does allow one to see a clear connective thread between Coen’s projects, which is a significant achievement. Linda Jewell, FASLA, is the recipient of the 2018 ASLA Medal, the 2008 Jot D. Carpenter Teaching Medal, and the 2007 Bradford Williams Medal. Jewell is professor emerita of landscape architecture at the University of California at Berkeley, where she was chair from 2006-2010 and partner in the firm Freeman & Jewell. She was construction editor at Landscape Architecture Magazine in the 80s, and co-author of Women in Landscape Architecture: Essays on History and Practice (McFarland, 2011). She is working on a new book on outdoor event spaces. Interview was conducted at the ASLA 2018 Annual Meeting & EXPO in Philadelphia. How can landscape architecture educators strike a balance between teaching students about the big picture issues — climate change, urbanization, biodiversity loss — and the practical aspects of designing and building a project in the real world? The curriculum has to strike the balance. Education should be project-based, because that is the education we’re best at and what really works for designers. Some of those projects start small and work up in scale, and then others start large and work down in scale. I remember a project when I was teaching at North Carolina State 35 years ago. Arthur Sullivan, who had taught at the University of Pennsylvania and was a scientist, ran a wonderful studio where he asked students to analyze a suburban house, an urban house, and a rural house. He asked them to analyze every bit of water and trash — to discover these homes’ impact on the world. What would have to happen for them to achieve zero resource use? So, it was a small focus, but it looked out. The issue is learning to look at the specific situation and then back out and look at the impact of the small on the large. At the same time, you can look at the impact of large-planning decisions on how small projects are built. How does landscape architecture education incorporate science, technology, engineering, and math (STEM) principles, which are viewed as so critical in today’s job market? How is education focused on STEM strengthened by design thinking? It’s fascinating how in the last decade science and technology curricula have been looking to design schools for design thinking. There’s hardly a well-known engineering, computer technology, or environmental science department that isn’t in some way teaching design thinking now. 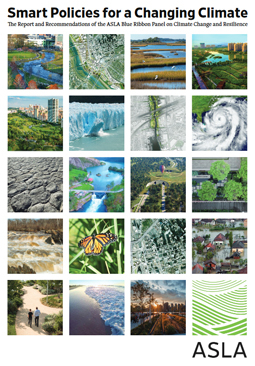 Landscape architects are deeply connected to the environmental sciences. 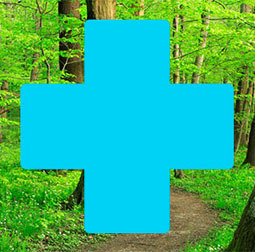 We have been working with environmental scientists through the entire course of the profession. It has become more precise because regulatory requirements have become more complicated. There is still a lot of our population that is aware that when you build a project, it will have impact on the local bay or river, the ocean, and air quality. Because of that awareness, we have clients, particularly government agencies, that want to understand the impact of making a particular decision. For the most part, all of the good, strong, creative design firms in the country rely on specialists — sometimes landscape architects who have also studied some aspect of ecology or someone who started in ecology and maybe studied landscape architecture or environmental planning. Nobody does anything by themselves any more; there are very complex teams. As educators, part of what we have to do is to help people find their place. We help them understand the breadth of possibilities and the complexities. Everybody — even if they are the most technical, nerdy kind of person doing very specific things — wants to reach outside the box to solve a problem. We must recognize each site is unique and you have to solve a situation for a particular site. I’m tired of seeing Portland green infrastructure details appearing in projects all over the country. Every time I go to see a student project somewhere everybody’s thrown in the images of Portland. There probably is a better solution someplace else. The ability to craft things to the unique situation is really important. How does landscape architecture education need to evolve to meet the needs of increasingly diverse student body and a diverse society? 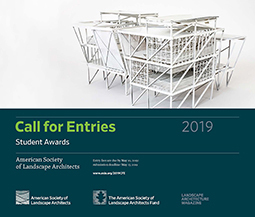 Undergraduate and graduate landscape architects need to recognize that other people, particularly those in other cultures, see the world differently than they do. People have different value systems. Just because you think it’s wonderful to have a coffee shop on the edge of your project doesn’t mean everyone does. Now, I think most educators think, “Well, then you do community projects.” But there are other ways as well. Classmates can learn from one another. I taught the large architecture and landscape architecture urban studies courses with 140 students at University of California at Berkeley. These young freshman are trying to figure out what they want to do in the design world. And talk about diversity — it is Berkeley, where white males are in a minority, and there’s everybody — Southeast Asians, lots of Latino students, African-American students. They learn from one another if you set up a situation where they’re working in teams. I used to do an exercise where one student makes a collage. If they were going to design a park, they would make a collage of the images of their ideal park. Then we would draw names and someone else would design for this other person’s park. Well, if you grew up in the valley of California of Latino background, your images were quite different from the preppy from New England. I did this years ago at NC State. There, I had a guy from West Texas and a woman from Massachusetts. All of her spaces were enclosed in green, and all of his were vast and open. They had trouble making the transition to the other’s spatial value system. Community projects are one way to do it, but they’re very complicated, and it takes a sophisticated teacher to do them. They’re best done after students have some experience and build up some skills because there’s often the danger of both disappointing students and the community. They can be excellent experiences, but an experience in which students realize not everybody sees the landscape exactly the way they do. Brad McKee, editor of Landscape Architecture Magazine, has called you “sublimely practical.” Do you believe the devil is in the details? How do you teach students to care about the details when they are making something? Materials are design opportunities. They are the opportunities where we can be the most creative. Many of our design leaders just do an extraordinary job now. But they didn’t 40 years ago. When I was a student at the University of Pennsylvania 40 years ago, it was asphalt with wood trim and brick-banded concrete and that was pretty much what we learned. Poured-in-place concrete. We’ve broadened out quite a bit. The best way to teach and for students to learn to be creative is through observation. I taught a field trip course at Berkeley. All we would do is go to projects where my colleagues in practice in the Bay Area were very generous to show them projects under constructions, talk about the choice of materials, source of the materials, the problems in installing them, how they worked. The students would also do a post-material construction evaluation — go to projects and make their own observations, take notes, keep a detail notebook. They would go out with some kind of measuring device. I have them use notebooks with grid paper. They would have to draw-to-scale sketch– not hard line, just draw over a grided scale, a detail of a bike rack or curb edge. They would keep that notebook throughout the semester. What I was trying to do is give them a new pair of eyes. It’s been very rewarding when I have a student who years later says, “Oh, I still do that. I still go out and look, measure, and try to understand.” We can’t possibly teach in school what you need to know about materials and detailing. What we can do is get people excited about them, make them curious, and give them a new pair of eyes. The other thing I do in the field trip course is go to offsite manufacturing, so students become familiar with how things are fabricated. The digital age has given us so many different ways to produce materials, with all of the laser cutting and digitally-run equipment that are creates in shops and then installed in the field. These trips also armed students with building techniques they then used in my design-build class. What’s the worst construction errors you’ve ever seen? And the worst mistake in the application of materials? I’d be hard pressed to pick one project. I did a lot of work for speculative developers in the D.C. area who were not prone to spend a lot of money. They had some very basic ways of building: poured-in-place concrete, three-inch pipe rail. You’ve seen some of the work over at Crystal City, Arlington, Virginia. They built in pre-cast concrete. What we tried to do in the Crystal City Water Park is use the materials as best we could so the developers were comfortable using and maintaining the park. Some of the biggest mistakes are made when your budget and your ideas about what can be built are misaligned. One of the construction field trips we used to go on visited Ron Herman’s very high-end residential projects. They were wonderful to see, because Ron would work with granite that had been cut so precisely to a quarter of an inch. Students could understand the tolerances that he was able to work with, because he had the money. Then we’d go to a public bid project in Berkeley where they were doing poured-in-place concrete. There, you shouldn’t have the expectation that you were going to have the kind of precision that Ron could have. You learn and observe, but you’re not going to do that while you’re in school. All you can do is set people up to ask: what kind of craftsmanship can I get in this particular situation? Who are the local craftsman? How can I bring them in? Maybe landscape architects and architects are not very adventuresome about finding the local craftsmen and getting some real bargains out of them in terms of crafted benches, detailing in the landscape. But others are. Many of our most creative landscape architects — even with modest budgets — do this. You gotta craft to your situation. That’s where I see the worst mistakes: an expectation that every line, every joint is going to line up. If it’s going to the low bidder in a public project, it’s probably not going to line up. Should all landscape architecture educators practice and all practitioners teach? No, but some of them should on both ends. Every landscape architecture faculty should include people that have practiced or are actively practicing. That doesn’t mean bringing in the local practitioner to teach a materials class. We need a number of people on the full-time tenure-track faculty who have a role in running the department and developing the curriculum with experience in practice. Departments also need people who strictly do research on speculative, creative projects like Alan Berger at MIT, or James Corner, ASLA, at the University of Pennsylvania, when he started out. If you have that range of people, then they begin to start conversations with each other. It takes work on the part of faculty to integrate practitioners who are not being paid. Many of them are very generous, but they really have a time squeeze. I mentioned the construction field trip course. I couldn’t do that without participation of practitioners. But I had to cultivate that relationship. Full-time faculty have to cultivate relationships with local practitioners. What was it like to be the first woman to run the landscape architecture department at Harvard Graduate School of Design? Did you feel supported or like you had to overcome sexism? When I studied architecture, I was the only woman in my class. I did not have a woman colleague until I went to the University of Pennsylvania to study landscape architecture. Not only did I have a women student colleagues, but Carol Franklin, FASLA, was one of my instructors. That was a whole new world. I have my #MeToo stories, believe me, because I was the only woman. I was pretty accustomed to dealing with those kinds of situations. My colleagues on the landscape architecture department were wonderful. I was the only woman. Well, Anne Whiston Spirn, FASLA, was there when I first went, but then she left, and there was just me, and then I hired Elizabeth Meyer, FASLA, who became chair of the landscape architecture department at the University of Virginia and later dean of their architecture school. I have liked having women around. It was a little more difficult with some of the architecture faculty and administration who put me in a girl box. The girl box is helper-mate. Good administrator; take care of the problem. I’m not saying that my landscape architecture colleagues were like that. Michael Van Valkenburgh, FASLA; Carl Steinitz; Laurie Olin, FASLA; and Peter Walker, FASLA were all terrific to me. They appreciated that I took care of the administrative crap and tried to do it well, but I never felt that they put me in a box. The first year I started teaching at Harvard, Carl warned me that I would have nearly 90-year-old Norman Newton teaching in the first semester studio with me, even though he’d been retired for 30 years. Norman was known for dismissing women. He was often criticized that his history book didn’t even cover Beatrix Farrand in any comprehensive way. That just kind made me more determined to reach out and develop a bond with him, which I did through an exhibition of his work on construction details. It was also good for me, because it sent me in a whole new direction of how to teach construction. That was the inspiration for me teaching students to go out, observe, and measure existing details. There are more high-profile women landscape architects and educators than ever before. How has it changed for women practitioners and educators over the past few decades? It has been terrific because we support each other. With the commissions I sit on, I have been in the position to advocate for women’s firms to be hired. It was no compromise on my part, because we’re talking about Gustafson Guthrie Nichol (GGN) and firms like that. But I’ve found you still have to advocate. The more of us out there, the more we can advocate for each other. There’s now a significant old girls’ network. There are still obstacles. I know women-owned firms where the heads of the firms, even some of our most talented people, struggle to get the interview for a project. The obstacles are more subtle and much less than they used to be. I want to give thanks to people like Thaisa Way, FASLA, who has writing about the many women from the 1910s-1903 who were doing significant work and were never talked about. At Landscape Architecture Magazine, from Grady Clay up to the current editor Brad McKee, there has been a real effort to make sure women aren’t shunted to the side. Grady Clay was very good when he put Martha Schwartz’s Bagel Garden on the cover of the magazine. When he hired me as construction editor when I was in my 20s — rather than some of the other people who applied — he was a rebel.